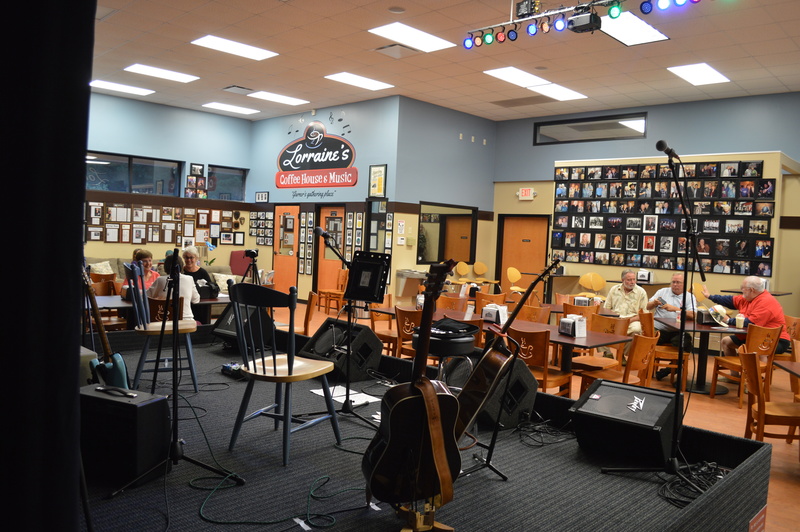 After 23 years traveling and touring the national circuit, renowned bluegrass star Lorraine Jordan decided to bring a piece of the road home with her. 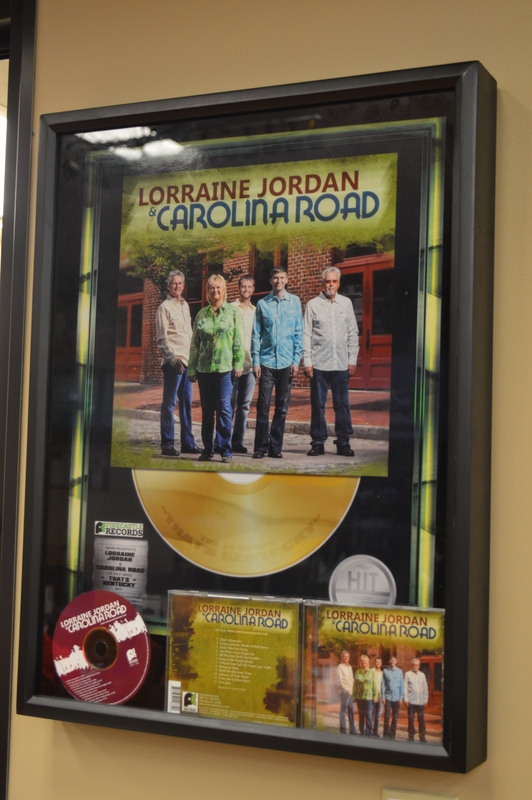 And I don’t just mean her band, Lorraine Jordan & Carolina Road. 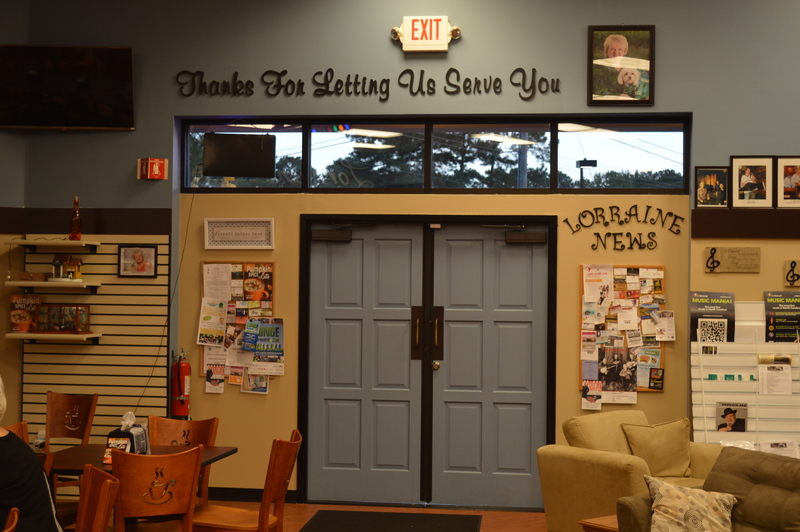 This summer, the Garner resident opened Lorraine’s Coffee Shop in her hometown, mindful of her growing town’s needs. Greater Raleigh&apos;s Town of Garner is certainly peaceful, with a listed population just shy of 27,000. Outsiders may be surprised to learn that Garner gave birth to former American Idol winner Scotty McCreery, NBA stars John Wall and David West and the founder of the ACC Women’s Basketball Tournament, Barbara A. Kelly. On a Fri. night, I made my way out to Garner to see Jordan’s vision first-hand. The coffee shop stood alone, a much larger structure than I anticipated, complete with a drive-thru. 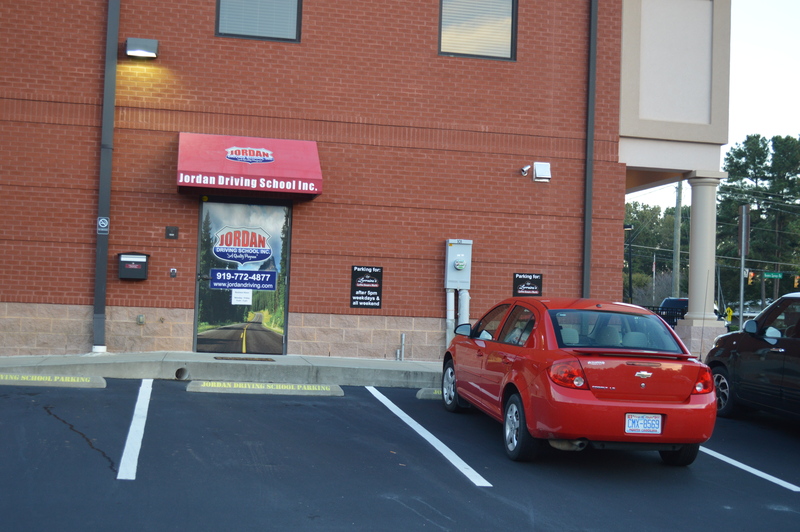 As I pulled around back to park, I noticed a sign for “Jordan Driving School.” The name is not a coincidence. Lorraine Jordan has operated her own private driver’s education school for 23 years, serving Greater Raleigh students. 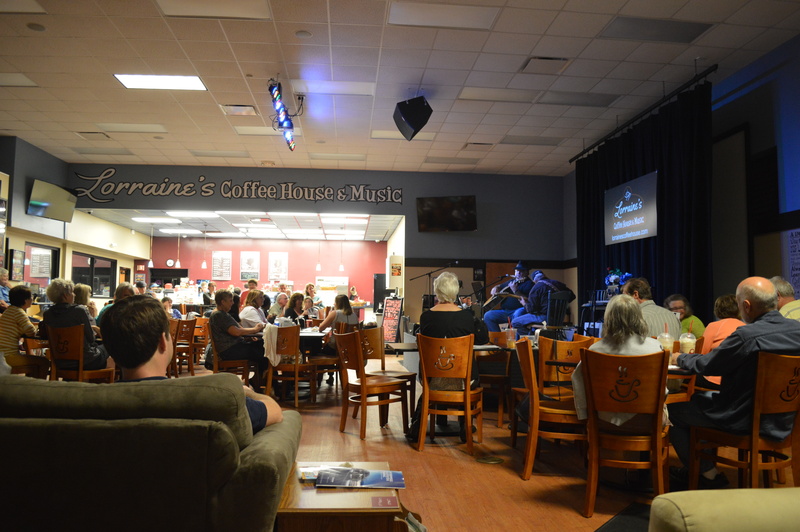 The interior shone brightly half an hour before local guitarist Cliff Davis was set to perform. I sauntered over to the coffee bar, noting the absence of alcohol. Jordan truly believes in creating a family atmosphere, and the quiet country venue caters to a wide spectrum of guests. High schoolers mingled with the elderly, with Southern charm the prevailing attitude. My camera attracted some attention. Several Garner residents and coffee shop regulars approached me to ask what I was doing. Upon hearing I was a Music Maniac, they each expressed their appreciation for what Jordan brought to their town. Most of them remarked that the lack of alcohol encouraged them to come out more often. I rarely find a venue that does not serve alcohol, but Jordan seems to be on to something here. Later, I would witness the reverence in which musical acts are held, as the crowd focused their full attention on the stage and not on their friends. 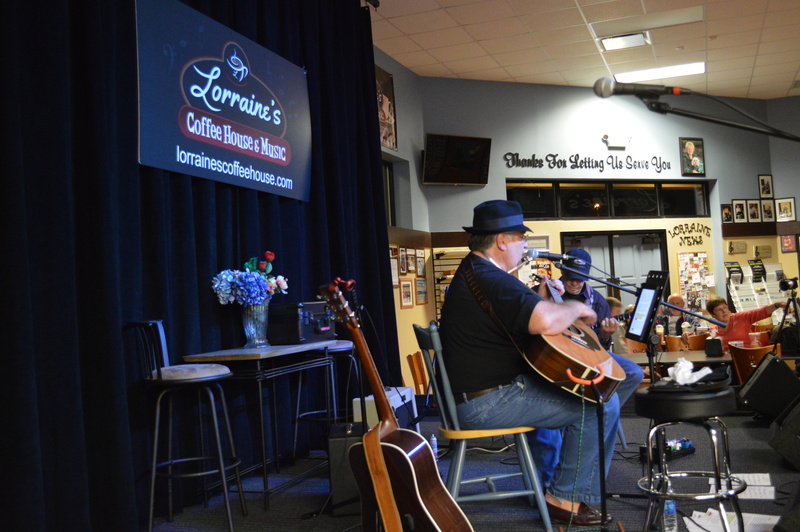 If I were a touring musician, Lorraine’s Coffee Shop would be high on my list of places to play. 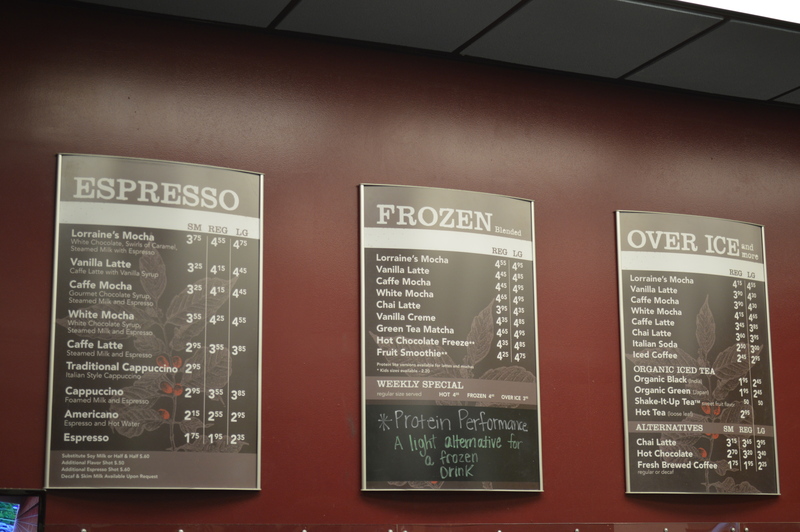 The coffee bar serves the standard variety of coffee and espresso-based drinks, available hot, iced or frozen. 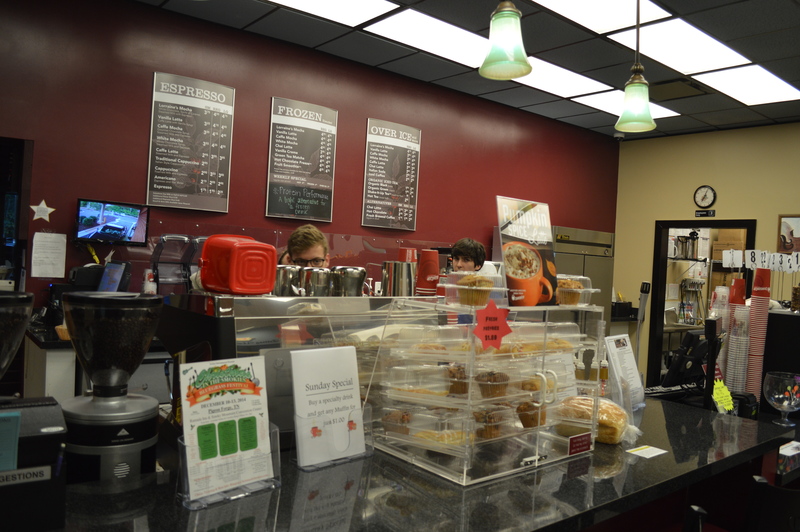 They also serve smoothies, water, sodas, juice, sandwiches and chips. Manhattan Bakery in Greater Raleigh&apos;s Morrisville and Amish Country Market out of Clayton provide pastries. 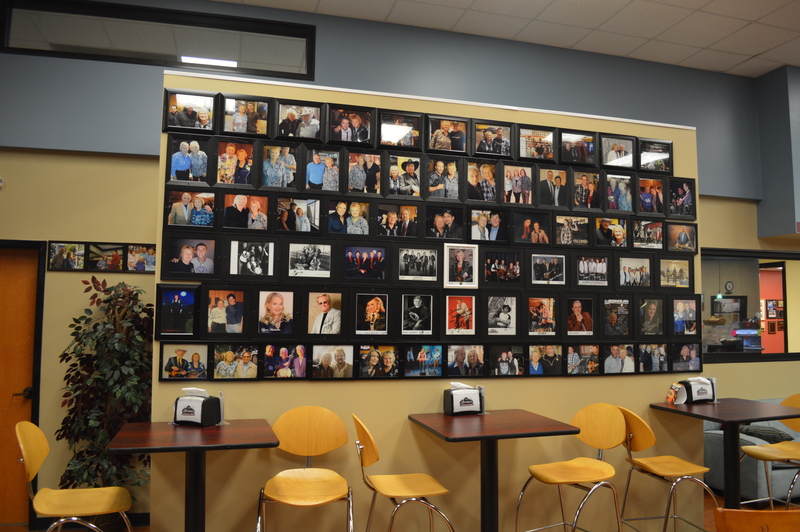 The walls are decked with pictures, albums and press clippings from her time touring. In the back, facing the stage, I found her Wall of Fame. 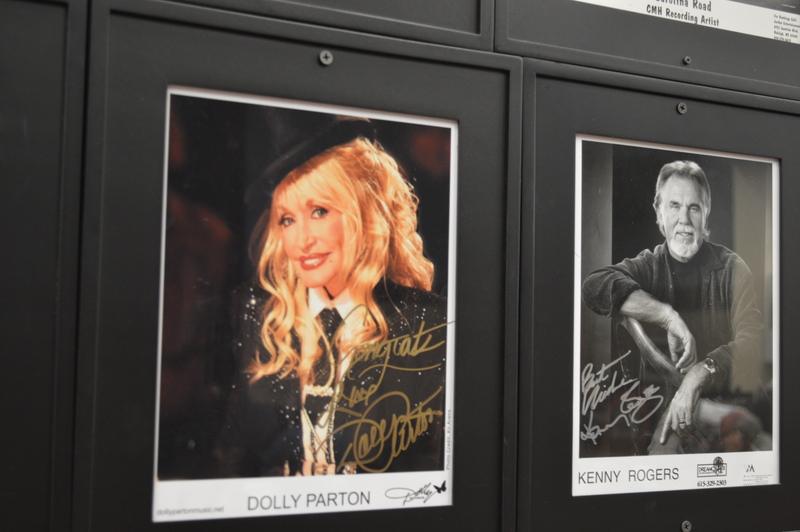 Photographs and autographs from famous musicians are proudly displayed, her vibrant personality helping to acquire many famous friends. 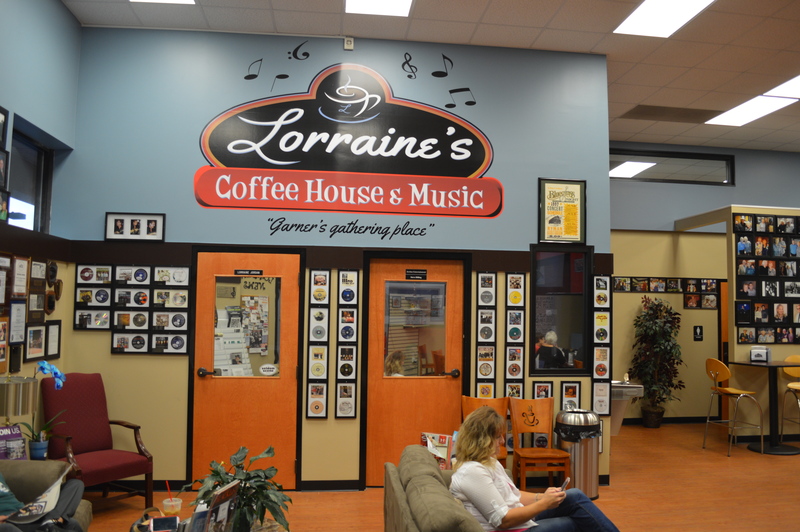 Hank Williams, Eddy Raven, Kid Rock, Dolly Parton, Lynn Anderson and Jim Ed Brown were among the many musicians to wish her well in opening Lorraine’s Coffee House & Music. On this night, Cliff Davis held court with his long-time musical partner Doug Pitts. 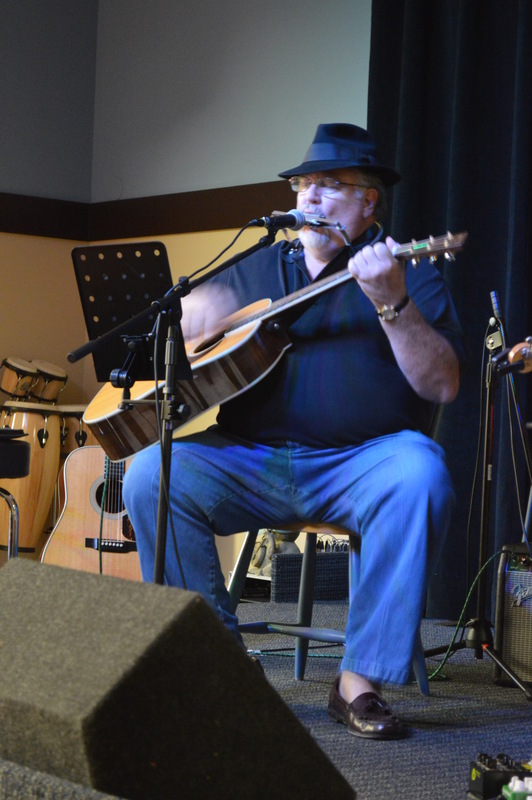 The two play what Davis calls “Southern swamp music,” a blend of folk, gospel and blues that he developed in his hometown of Burgaw, N.C. Davis began playing guitar nearly 60 years ago, and he and Pitts record in a private studio Pitts set up in his home. Davis and Pitts complement each other well. Davis strums a D35 Martin and a D26 Martin, while Pitts lays down some improvisational licks on his electric. Jordan’s musical tastes emphasize the down-home country feel that she seeks. Thurs. 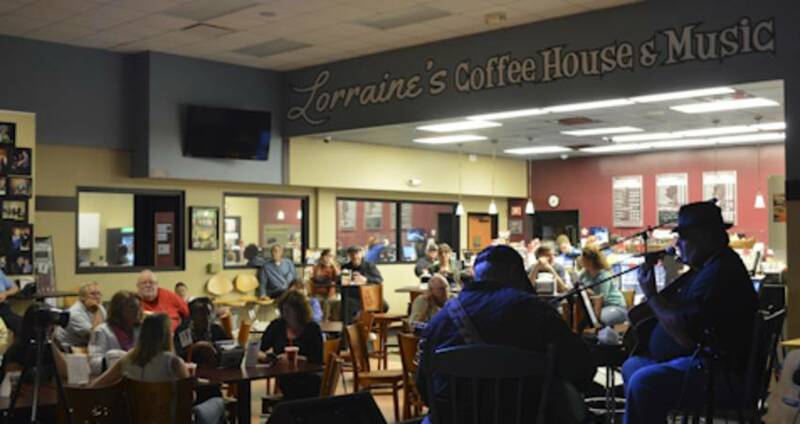 evenings, between Oct. and March, Lorraine’s Coffee Shop hosts live bluegrass. Fri. nights bring acoustic solo artists and duets. 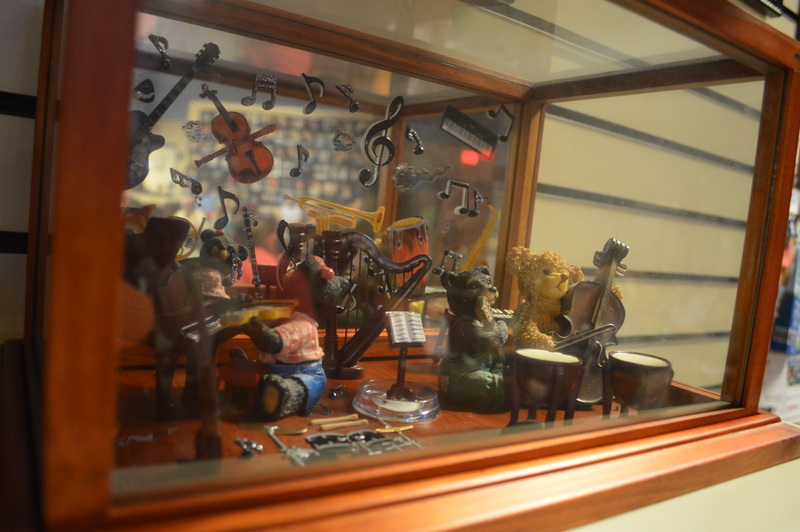 On Sat., full jazz bands own the stage. Jordan said she hasn’t had any trouble booking acts for her new venture. 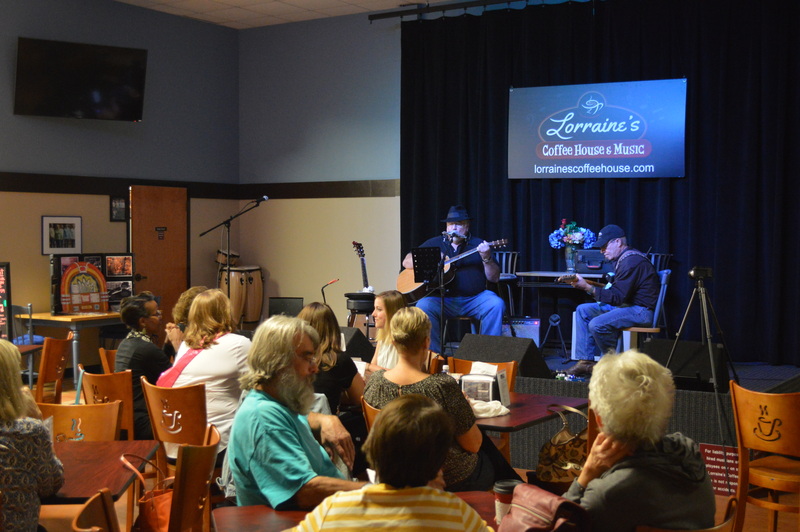 Lorraine’s Coffee House & Music is open Mon.-Fri., 6:30am-7:30pm, and Sat. and Sun., 8am-7:30am. 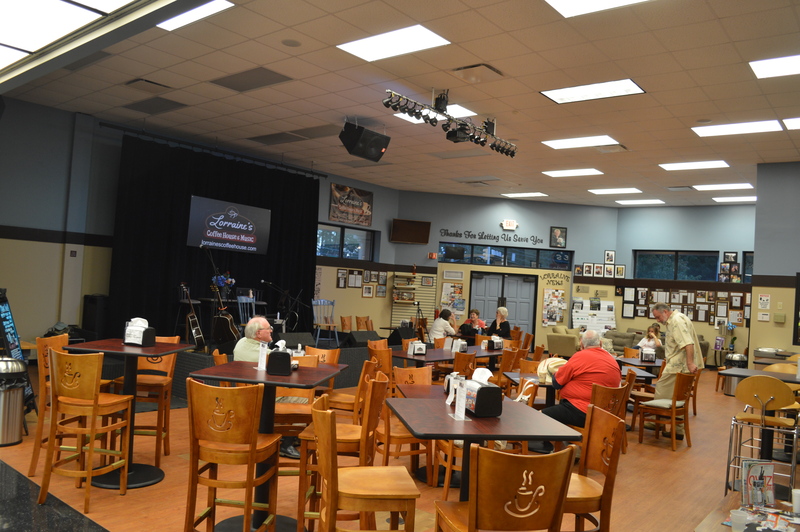 Nights featuring live music have extended hours, with bands playing 7:30-9:30pm. Check the venue&apos;s website for a full event schedule.